IDW Games Brings The Legend of Korra to Tabletop! 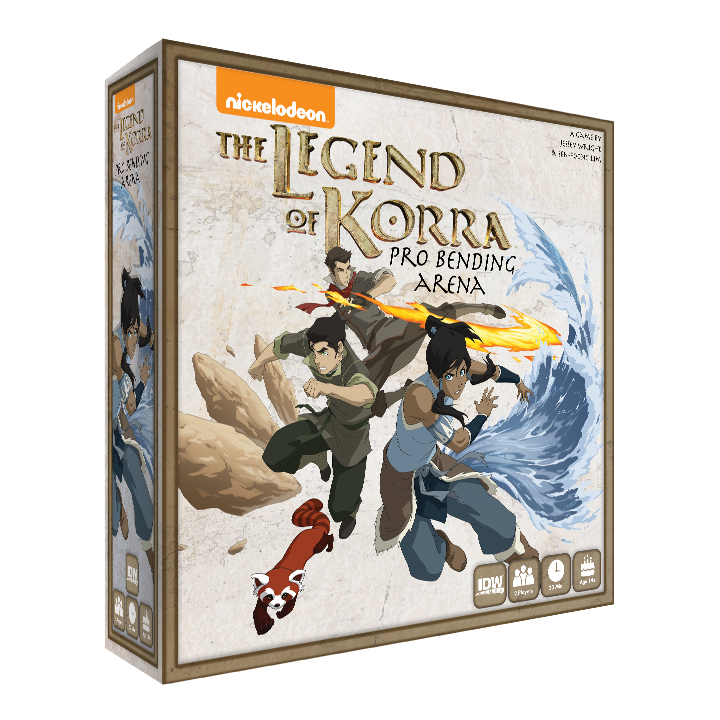 San Diego, CA (June 22, 2017) IDW Games announced today that, in its continued relationship with Nickelodeon, it will release tabletop games based on The Legend of Korra television series, the sequel to Avatar: The Last Airbender. The first game planned for release is The Legend of Korra: Pro-bending Arena. Designed by Sen-Foong Lim (Akrotiri, The Godfather: A New Don) and Jessey Wright (Pocket Adventure), The Legend of Korra: Pro-bending Arena aims to capture the excitement of the pro-bending sport found in season one of the show.Focusing on the rivalry between the Future Industries Fire Ferrets and The White Falls Wolfbats, The Legend of Korra: Pro-bending Arena has two players each take control of a team, draft card decks for their benders, and then play cards to place elemental tokens around the board in an effort to overwhelm their opponent. As in the show, pro-bending matches are a game of push and pull, with the objective to be the team that has either advanced the farthest forward, or completely knock their competitors out of the ring. Nickelodeon and IDW Games previously collaborated to release Teenage Mutant Ninja Turtles: Shadows of the Past. The Legend of Korra: Pro-bending Arena will launch on Kickstarter this summer, with a retail release this fall and an expected MSRP of $49.99. ← Orphan Black: Clone Club (Pre-Order) Now Live!